Several residents in Stigler, Oklahoma have reported the latest UFO sightings of triangle shaped UFOs over the past few months. 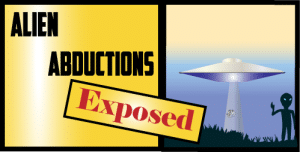 MUFON, the Mutual UFO Network, has investigated these latest UFO sightings and have confirmed that two of the UFOs are credible. The two separate triangle UFOs were spotted this past September and October in the city of Stigler in Haskell County, Oklahoma. Marilyn Carlson, the state Director of MUFON, described one of the triangles as elongated and one as an equilateral triangle. Both were viewed at night with lights on them. After the September sighting, investigators found a field in Stigler that appeared to have a bare circular spot which possibly may have been the site of a UFO landing. Carlson said that the procedure for investigating these sightings is that residents file a report to MUFON. The network then assigns the case to the State Director of the state in which the UFO is spotted. At that point, the State Director assigns a field investigator to perform a scientific investigation of the sightings. KQTV – Channel 6 Oklahoma interviewed Carlson regarding the increase in UFO sightings in Oklahoma. She admitted that UFO sightings and credible ones at that are being seen frequently in the state. She offered a picture taken on January 1, 2010 by a resident who witnessed 7 objects coming out of cloud. Fortunately that witness was able to use their cellphone camera to capture the mystery object. Carlson confirmed that the origin of the mystery object is unknown so the network has classified it as an unidentified flying object. 1) Photos and videos are examined to determine whether they are real or fake. 2) Witnesses are interviewed to make sure their story matches. 3) Physical evidence or samples if available are examined. 4) Look at witness’s appearance, demeanor for credibility. 5) Check with authorities such as airports and military bases to make sure testings were not happening in the area of the UFO sighting. Keep up the good work. All this UFO evidence is amazing to me. I like watching the videos. Send me all the best ones if possible. Is there a mufon invesigator in the Toronto area?